'This Is Us': Why Did Rebecca's Friend in L.A. Look Familiar? "Wow, that actress looks really familiar," we wondered aloud during November 13's episode of This Is Us, "Sometimes." During the hour-long installment, Rebecca (Mandy Moore) and Jack (Milo Ventimiglia) road tripped to Los Angeles, where they met up with her friend Nicole. And it turns out, there's a reason why Nicole sparked recognition for some viewers. Yvonne Zima who played the role may not be a household name, but she certainly looks like someone we've seen before — and that's because she and her lookalike sisters, Madeline and Vanessa, have been around for some time. Probably the most recognizable of the three, Madeline starred in the hit '90s series The Nanny as Grace Sheffield and had recurring roles in shows like Heroes, Californication, and the Twin Peaks 2017 revival. 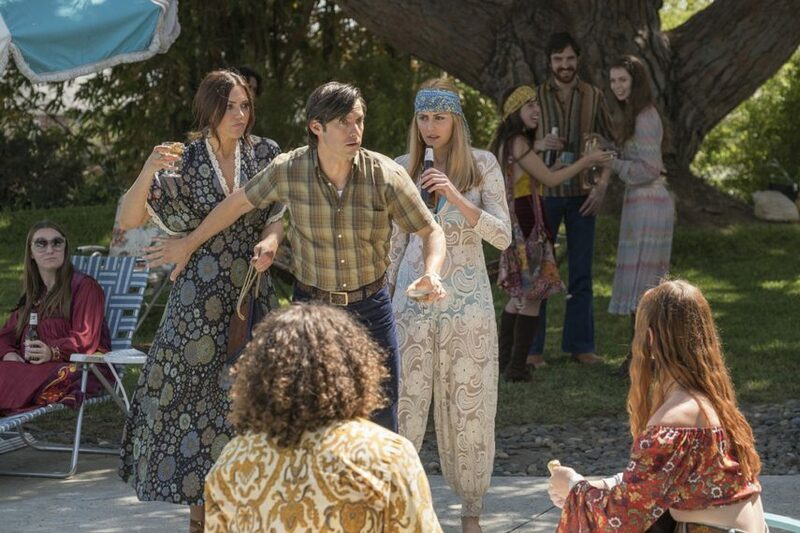 Moore, Ventimiglia, and Zima in This Is Us. As for Yvonne, she appeared as Mark Greene's (Anthony Edwards) daughter Rachel in the hit series ER from 1994 - 2000 and went on to appear in over a hundred episodes of The Young and the Restless as Daisy Carter, a role she played from 2009 to 2012. As for Vanessa, she's had smaller roles on shows like Scandal and House. Below is a photo of the three sisters together and it's easy to see why they'd remind you of one another with their nearly identical appearances. Yvonne's role may have been quick, but her appearance came at a pivotal moment for Jack and Rebecca's trip in the episode as he exhibited PTSD at the sound of a champagne bottle popping. Mistaking it for a gunshot, Jack took a defensive stance, shielding Rebecca and Nicole from nonexistent gunfire. Based on what we know of the show, Zima could make a return some time since This Is Us thrives on surprises and reintroducing characters from the past. For now, at least this This Is Us mystery is solved.